On October 11th, 2011, the U.S. Consumer Product Safety Commission and Health Canada, in cooperation with B.O.B. Trailers, Inc., announced a voluntary recall of their B.O.B. single and double strollers due to a potential choking hazard. This recall includes both single and double stroller models, due to a condition where the stroller canopy’s embroidered logo’s backing patch can detach, posing a choking hazard to babies and young children. As of October 11th, 2011, the firm has received six reports of children mouthing the detached patch. Gagging and choking were reported in two incidents. In all cases to date, the backing was removed from the children’s mouth without injury. In each of the reported incidents, the children were seated in an infant car seat attached to the stroller. About 411,700 of these strollers were sold in the United States and 27,000 were sold in Canada at REI, Babies R’ Us and other children’s product and sporting goods stores nationwide and Amazon.com between November 1998 and October 2011 for between $280 and $600 and they were all manufactured in Taiwan and China. Additionally, approximately 357,000 of these strollers were previously recalled in February 2011, due to a strangulation hazard posed by the canopy drawstring. This most recent, October 11th, 2011 recall, involves all B.O.B. strollers manufactured between November 1998 and November 2010. Strollers manufactured after October 2006 have a white label affixed to the back of the stroller’s leg with the manufacturing date. Strollers with no manufacturing date listed were produced prior to October 2006 and are included in this recall. The strollers were sold in single seat and double-seat models. 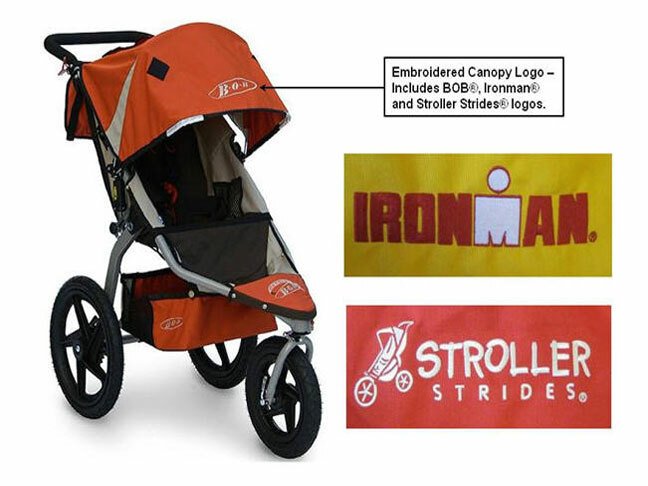 The BOB®, Ironman® or Stroller Strides® brand name is embroidered on the canopy of the strollers. 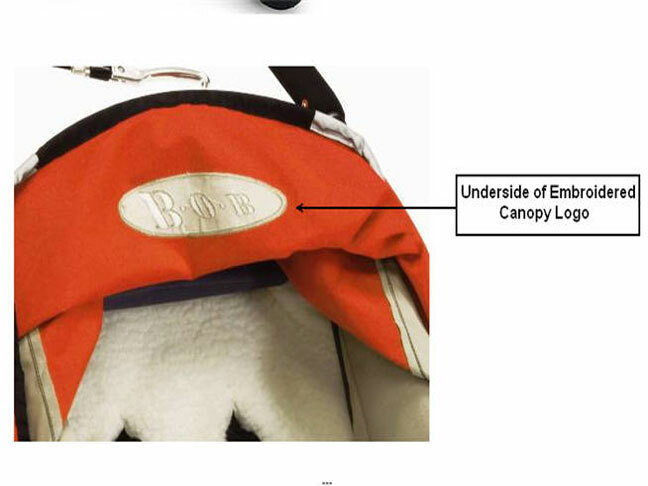 Consumers should immediately stop using the recalled strollers until they remove the embroidery backing patch from the interior of the canopy’s logo. Consumers should contact B.O.B. Trailers for instructions on removing the backing. For additional information, contact B.O.B. Trailers toll-free at (855) 242-2245 between 8:30 a.m. and 5 p.m. MT Monday through Friday, or visit the firm’s website here. Further general information about this recall can also be found in Search on the CPSC website.